Let us take all vaccines, & enjoy illness free happy rich long life. People do not know this.So they do not take vaccines. Vacines are safe, effective, and much cheper than illness and death. We all need vaccines. At all ages. We can avoid 18 illnesses by taking vaccines. Whole world takes them. Government gives 7. Rest we have to take from our doctor. We spend money on illness. So we are poor. Ask doctor who gives vaccines . Take vaccines that are needed at your age. This saves money that we spend on illness and become poor. In health and by money. Example. Make our home, town, & India typhoid free today. India is Typhoidsthan. Take vaccine. Otherwise Every one gets it once. It is costly. One remains ill for few weeks. One can die. Raja Shivaji, Bajirao, Veer Savarkar's son, Alexander died of typhoid. Most of us had typhoid. Many died. Those who did not have typhoid should take vaccine. Do not wait for Government. Take on your own. Tell all to vaccinate from 6 months to 25 years. Like Italy make all vaccines compulsory before school entry. Use either polysaccharide or conjugated typhoid vaccine, but do tell and vaccinate ALL. Ask all doctors to give all vaccines. Let us translate this in our language and Tell all. We Do good to all and all will do good to us. A vaccination schedule is designed to ensure children are receiving the proper vaccines at the best time, to protect them from potential infections and diseases. Immunizations help protect individuals from infections and prevent potential spreading of diseases that can cause serious health complications. The schedule of vaccinations may vary according to your place of residence, your child’s health, the vaccine type and their availability. If your child suffers from medical conditions such as diabetes or if you are planning to travel outside of the United States, it is advised that you contact your doctor to discuss whether or not a different immunization schedule is needed for your child. 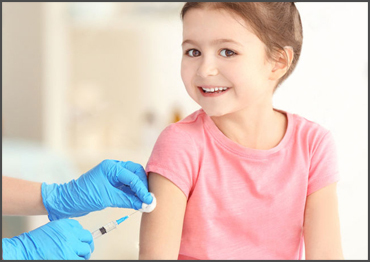 In some cases, vaccines may be offered as part of a combination to reduce the number of shots your child receives in particular time frame. The schedule is updated each year depending on the release of a new vaccine or changes in a current recommended immunization. It is important to consult with your pediatrician on the necessary vaccinations for your child, as well as arranging a schedule most appropriate for them. Frequent changes to the schedule may seem challenging for parents to stay up-to-date on the vaccines their children need. It is advised to use a guide to learn the most current vaccine recommendations and the types of vaccines that will be distributed in the near future. In the case that your child misses a dose of a vaccine, it is not necessary to start over, but simply ask your doctor about scheduling a “catch-up” vaccination. 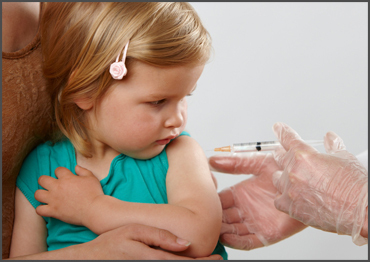 Pediatric immunization schedules are dependent on your child’s age. A newborn will receive vaccines to prevent potential infections from approximately 14 different diseases. Infants are highly vulnerable to infectious bacteria; therefore it is critical to protect them by following the recommended infant immunization schedule. Several immunizations require more than one dosage and there are some that are not appropriate until your child reaches a certain age. 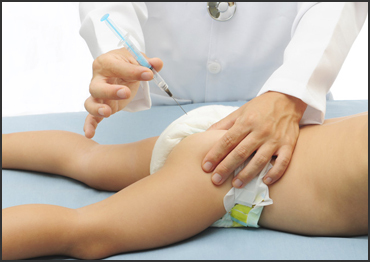 We also offer a schedule of vaccinations for children for your reference. 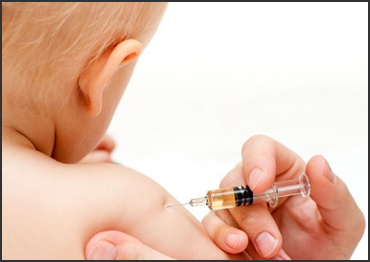 Which Vaccines are given to Infants? The first dose is given at 2 months, the second at 4 months, and the third (if needed) at 6 months. 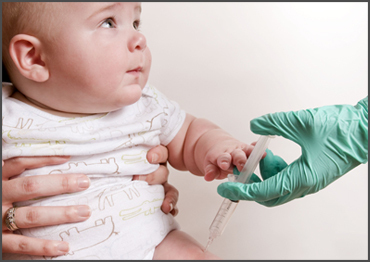 What are the Vaccines needed for Babies? What shot is given to a Baby at Birth? 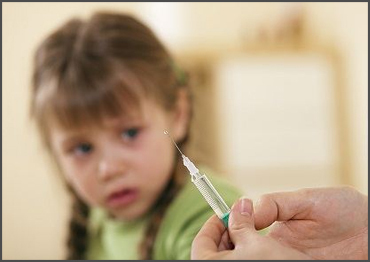 The hepatitis B vaccine (HepB) is a series of three different shots. The American Academy of Pediatrics and the Centers for Disease Control (CDC) recommend that all newborns get the first HepB shot before leaving the hospital. If the mother hasHBV, her baby should also get a HBIG shot within 12 hours of birth. Can you vaccinate a Baby with a Cold? If your baby has had a fever or been very unwell, you should put off herimmunisations until she is better. But if your baby has had a minor illness for a few days, such as a cough or a cold, without a fever, she can still have herimmunisations.